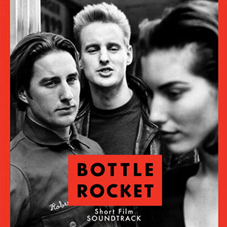 The soundtrack to Wes Anderson’s short protofilm for Bottle Rocket will be available digitally for the first time starting December 9, from Fantasy Records/Concord Music, the company announced today. The release was timed to coincide with Criterion’s new DVD of the feature film (with short). Click here for the full story on this jazz-oriented album, produced by Anderson and supervisor Randall Poster, and including selections from Sonny Rollins (“Old Devil Moon”), Chet Baker and Art Pepper (“The Route”), and Duke Ellington and John Coltrane (“Stevie”). We’ll post an update with the link to buy the album on the 9th. Update (9DEC08): The album is now available! Download from Amazon and iTunes.